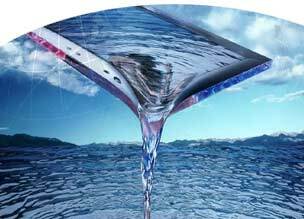 EBD Water Features a complete line of Gas and Liquid Feed Systems. Depending on the application, systems are selected to provide the most effective approach for a broad range of chemical treatment. EBD Water range of Gas Feeders are designed to feed Chlorine, Sulfur Dioxide, Ammonia and Carbon Dioxide. EBD Water can provide standard systems ranging from 0.1 kg/hr to 40 kg/hr (2000 ppd). Larger Systems can be customized using modular arrangements. The EBD Water Gas Feeders are fabricated using the finest, fully chemical resistant materials. The systems can be supplied for direct cylinder, manifold, wall or floor cabinet mounting. The EBD Water Gas Feeders operate under vacuum, with no components carrying gas under pressure. A loss of vacuum causes the regulating valve to shut off the gas supply. EBD Water provides a full range of Liquid Feeding Systems for dosage of Hypochlorite solutions, Sodium Bisulfite, Polymers and other chemical solutions. EBD Water package Chemical Feed Systems are skid mounted, completely preassembled for easy installation on site. 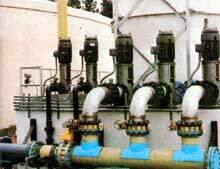 The systems incorporate the highest quality metering pumps (corrosion proof, chemical resistant construction for long, service free operating life), storage tanks, agitators, and process instruments. The systems can be designed for output as low as 0.02 GPD providing accurate dosage in critical applications and up to 100 Gallons per hour for large applications.